Nestle India admits it made mistakes in targeting the low-income sector and as a result ignored the premium market. With sales in India slowing, Nestle has made the unusual step of admitting it has made mistakes in its method of expansion in the country. 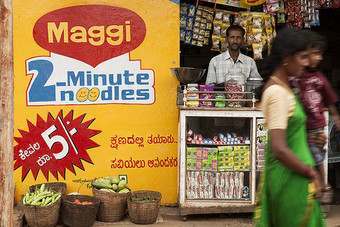 The head of the global food giant's head of Asia, Nandu Nandkishore, has reportedly said the company focused too much on targeting the mass market in India and, as a result, ignored more affluent customers. Speaking to the Financial Times, Nandkishore said the company placed too much emphasis on "making its mass-oriented products available to large numbers of new, cost-sensitive consumers deep in the countryside", ignoring the demand for premium products from its higher-end consumer. India has been one of the markets in which it has developed PPP or "popularly positioned products", affordable products for consumers on lower incomes. However,Nestle has had to redress its strategy as economic growth in India slows and inflation remains high. The company's sales in India were up 8% in the third quarter of 2013, strong by Western standards, but far slower than in previous years. Nestle still wants to cater to the mass market but is paying affluent Indians, which are more protected from the country's slowing economy, more attention. It has recently switched tactics, introducing Alpino into India to compete against the likes of Ferrero and Cadbury. Nandkishore's comments come amid some concern about the near-term challenges of operating in India, for all the longer-term potential in the country. Click here for just-food's in-depth briefing on India's consumer goods sector, published in October.